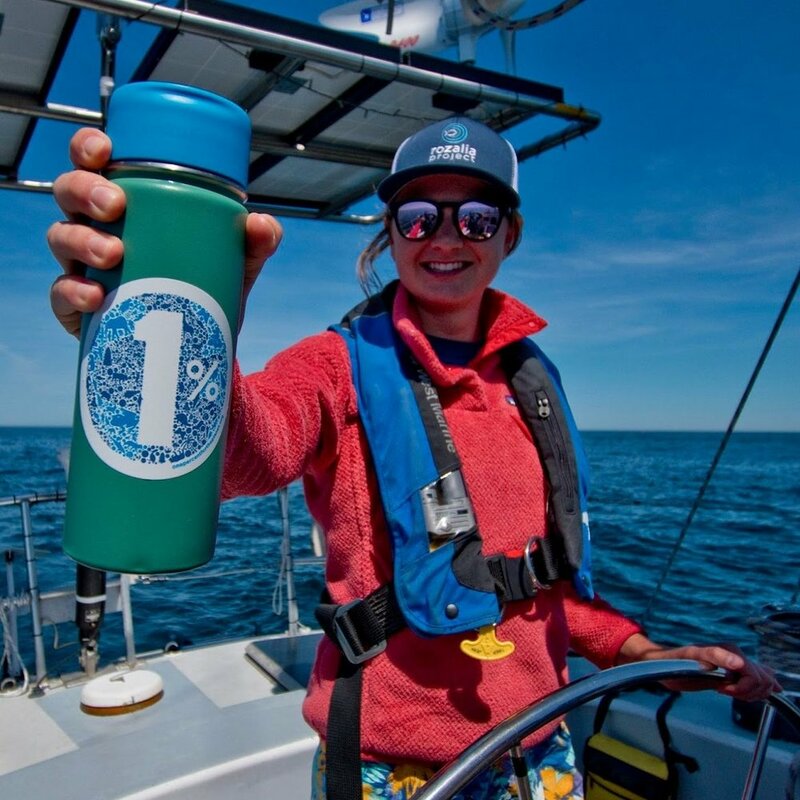 This past July, I joined 1% for the Planet nonprofit partner, the Rozalia Project for a Clean Ocean on their 2018 STEM for a Clean Ocean expedition. This program inspires young people and coastal residents to be an active participant in finding solutions to the marine debris issue and it is sponsored by 1% for the Planet member, Surf Sweets. During a week spent away from my desk at 1% for the Planet headquarters, I was lucky enough to jump on board Rozalia Project's 60-foot oceanographic research vessel "American Promise." While on board, I learned a ton about their various educational programs, beach clean ups, and data collection methods. Since their founding in 2010, the Rozalia Project has been cleaning and protecting the ocean by focusing on the issue of marine debris from the surface all the way down to the seafloor. 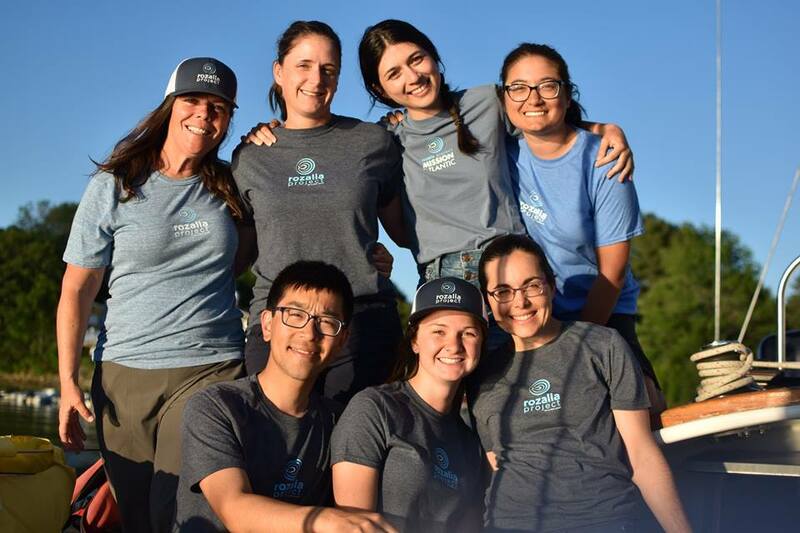 By way of prevention through education, innovation, and solutions based research, the Rozalia team brings together a crew of individuals from a variety of educational and professional backgrounds each summer to join them on their summer expeditions. During the week I spent on the vessel, our crew was comprised of writers, an engineer, a water sanitation specialist, a marine mammal entanglement expert, and an environmental educator. The passion shared by this crew led to nightly brainstorming sessions surrounding the topics of single use plastic, banning plastic straws, raising awareness about ghost fishing gear, and the ways we can encourage everyone to be more mindful about our precious ocean resources. On a sunny Saturday morning, I met the crew in Kittery, Maine, hopped on board the "American Promise", and we set sail for Boston. We spent the day sailing through the Gulf of Maine and were even joined by a pod of humpback whales. 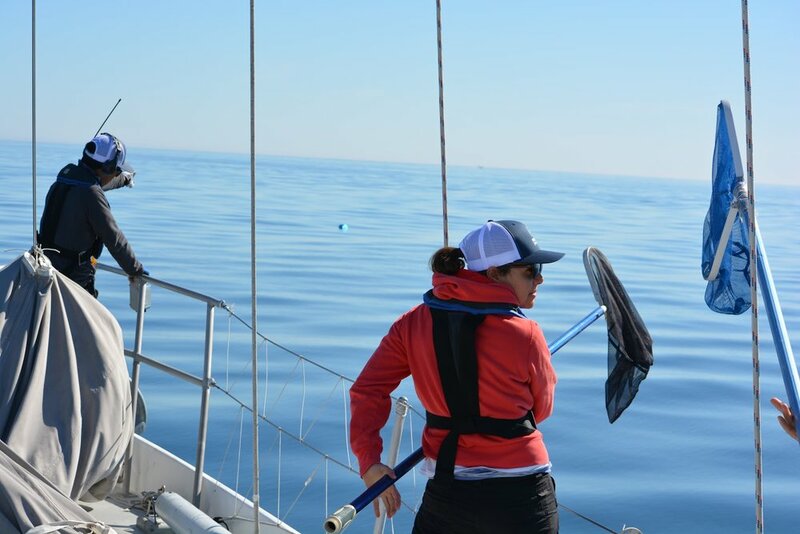 Throughout our voyage we kept an eye out for marine debris and retrieved any item that came across our path. I was impressed and inspired by the crew's devotion to stopping for even the smallest piece of debris. Once we arrived in Boston, our primary focus was to run daily educational programs for local kids camps. 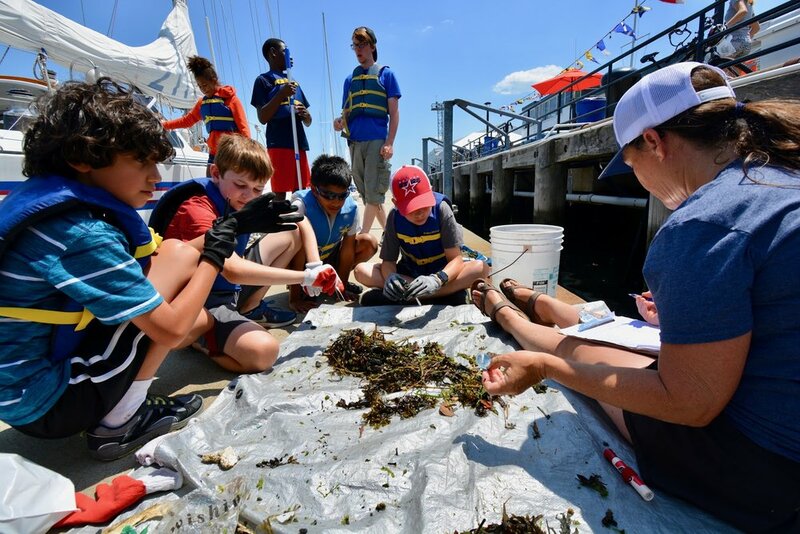 Camps from the Courageous Sailing Center and The New England Aquarium participated in a variety of activities involving data collection, microplastics, and microfibers. Each activity provided first-hand experience about how marine debris enters our waterways and what we can do to prevent this. Without a doubt, spending time with the kids was the highlight of the expedition. I was fortunate enough to observe all of the programs and document them through photography. I heard incredible comments from the kids during these activities with my favorite being, "not in my harbor!" in response to the amount of trash present in the Boston Harbor. While the crew remained docked at the Courageous Sailing Center in Boston, we hosted nightly open boat sessions for community members to tour the vessel, learn more about the Rozalia Project, and take part in conversations surrounding clean ocean solutions. One night we were joined by six local Boston 1% for the Planet members: Core Retreats, Food.Stories.Travel, Reportable News, Poéthique, Andrew M. Sidford Architects, and Progressive Asset Management. The night was full of enthusiastic energy with local members coming together to meet each other as well as the Rozalia Project. Being there on the ground with the Rozalia Project led to incredible and passionate conversations about all sorts of ocean related topics. From sharing life stories to collaborating on creative solutions, this small, intimate gathering showcased the sensational power of the 1% for the Planet network. My time on board with the Rozalia Project was eye opening in a multitude of ways. What strikes me most is the collective action our network is taking to protect our planet every day. The opportunity to be on the ground with one of our nonprofit partners provided incredible insight into the hard work taking place around the world. I am extremely grateful for the perspective I gained while on the expedition, and I am excited to watch these programs grow and evolve with the support of our members. It's amazing to see the power of partnerships come to life right before your eyes!